© Michael McCoy. Photograph by R. H. Hensleigh and Tim Thayer. 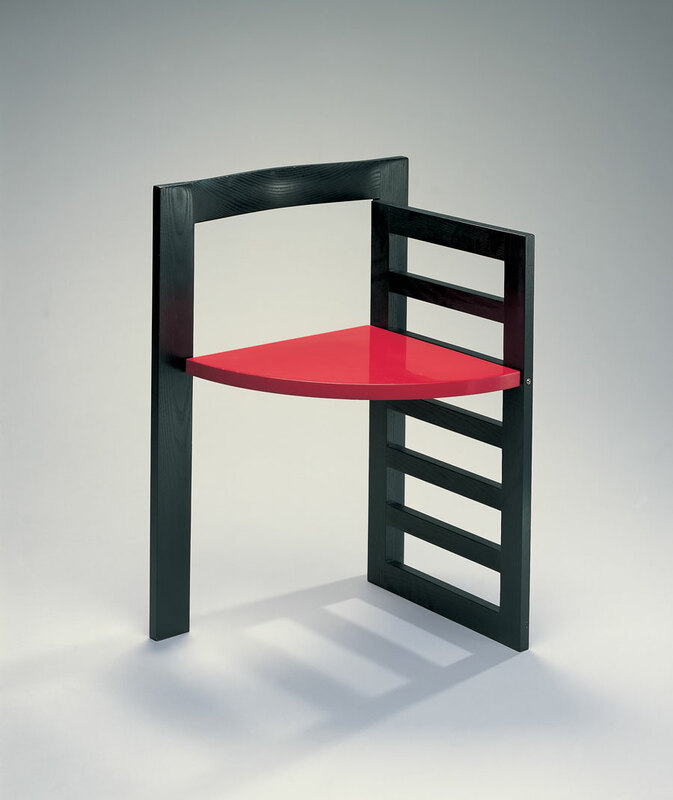 Michael McCoy designed the Door Chair during his tenure as Head of Cranbrook Academy of Art’s Department of Design, which he co-chaired with his wife Katherine. In 1986, the chair based on this prototype was produced in limited edition for Arkitektura, marking a shift in the role of design. The modernist dictum of “form fallows function” had been a mantra for decades, leading to the design of slick, corporate glass-box buildings and anonymous, beige typewriters in the 1970s. By the 1980s young designers were desperate for a more expansive vision of design and McCoy’s chair began a new discussion. Its whimsical and metaphorical references alluded both to how it works and to its context within an architectural space. Suddenly, designed objects could (once again) speak about more than utilitarian “function” and shifted to “product as text.” With research into semiotics and communication, postmodern design thinkers like Robert Venturi, Ettore Sottsass and Michael McCoy revitalized the design scene and inspired the next generation of young designers to “inform” their designs with metaphor, narrative, decoration, fashion and imagination.